Keene Music Festival also organizes a number of other events. 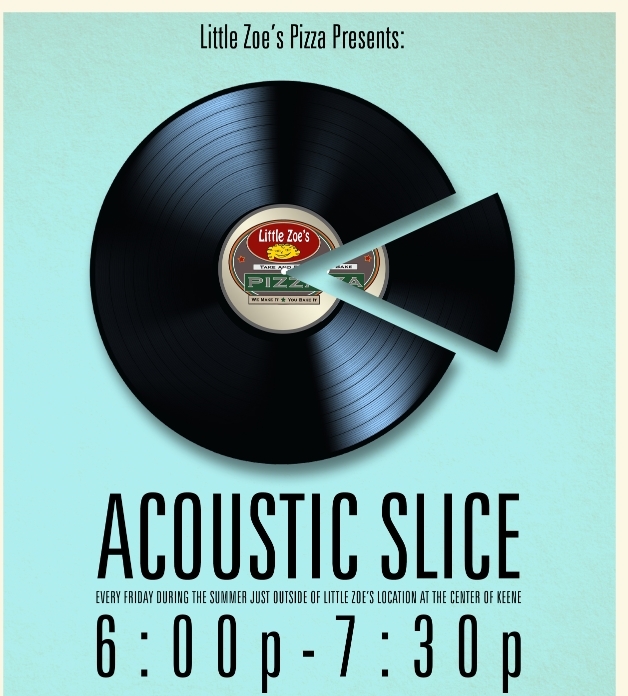 The Little Zoe's Pizza Acoustic Slice occurs Friday evenings during the summer, and feature performers at LIttle Zoe's Take N' Bake at The Center of Keene on Gilbo Avenue in Keene, NH. The shows are free of charge and are a great way to spend a summer evening. We'll be posting a schedule as it develops on our Events Calendar. If you are a performer interested in being part of our event or would like to volunteer to help, please fill out the Sign Up Form via the link.